In a country where smog, haze and ozone alerts are as common as a traffic jam, its nice to know we can always come inside for a breath of fresh air. Or can we? Studies conducted by the Environmental Protection Agency have shown that 50% of all illnesses are either caused by, or aggravated by poor indoor air quality. Worse yet, the studies show that indoor pollutants can be more than 100 times higher than outdoors and Americans spend over 90% of their time indoors. It is no wonder that over 60 million people suffer from allergies and asthma. Why are Indoor Air Quality problems worse than ever before? Over the years, new products and construction methods that conserve energy were introduced. These products have since become standard in new construction and renovations. Today’s homes are better insulated, tightly sealed, and use less energy. Most people would agree that keeping heating and cooling bills down is a good idea. That’s why owners of existing homes add weatherstripping and insulation to make their homes more energy efficient. Unfortunately, making their homes more energy efficient exacts an unexpected price. Fresh outdoor air stays out, and indoor air pollutants remain trapped inside. Most homeowners are not aware of their IAQ problems, and our industry has not done a very good job of educating. Many contractors are consumed with bidding on heating and cooling, instead of presenting total comfort with IAQ solutions. Just as changes have occurred over the years in new housing materials and construction, filter technology has evolved as well. Filters have grown from one-inch throwaways to media filters, electro-static, pleated filters, electronic air cleaners, and HEPA filtration. In most cases, these devices can create substantial pressure drops that can cause a multitude of problems with whole house heating and air conditioning systems. Now, a revolutionary new technology has combined HEPA efficiency with low-pressure drop. 7.6 million children suffer from asthma. There has been a 200% increase in childhood asthma over the last 20 years. Death from asthma is increasing in children less than 11 yrs old, by 7% per yr.
Asthma causes 14 million missed school days per year. 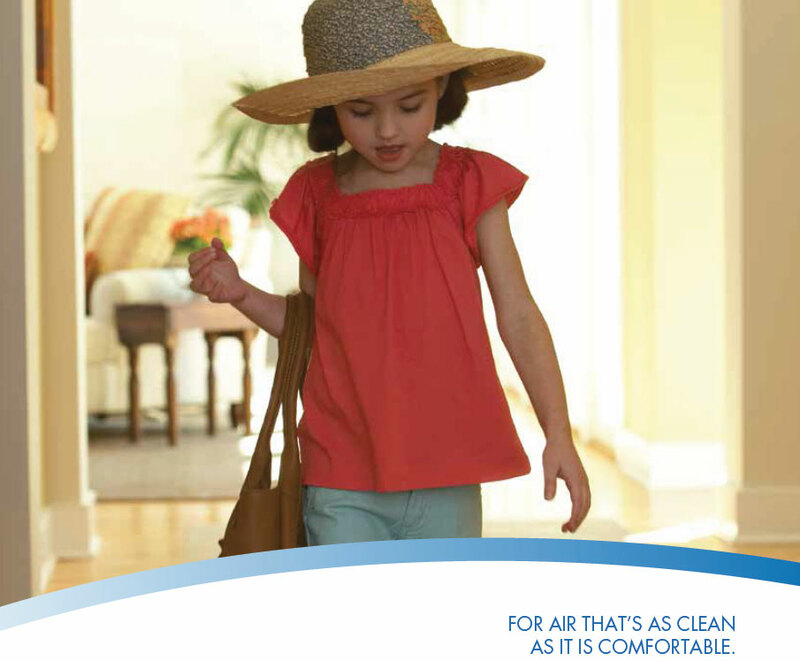 Children are more vulnerable than adults to many airborne contaminants. 60 million people suffer from allergies and asthma in America. Asthma cases have almost doubled in the last decade. The EPA ranks indoor air pollution as one of the top five environmental dangers. Indoor air is 2 to 100 times more polluted than the WORST outdoor air. Americans spend more than 90% of their time indoors. 87% of American homeowners are not aware that pollution is worse indoors. Tight homes are the primary reason for the rise on indoor air problems. Dust mites thrive in tight homes and feed upon human skin flakes. Cats, dogs and birds produce huge amounts of allergens. Each person can shed up to 700,000 skin scales per day. About 40,000 dust mites can thrive in one ounce of dust. Approximately 15% of the U.S. population is allergic to dust mite feces. We don’t consider that the air we are breathing could be harming us. As a nation we’ve recognized the benefits of drinking two quarts of clean water. Americans spend over $7 billion dollars annually on bottled water. We inhale approximately 15,000 quarts of air each day. The air we breathe each day weighs more than the food we eat each day. We can only see about 1% of the airborne pollutants with the naked eye. 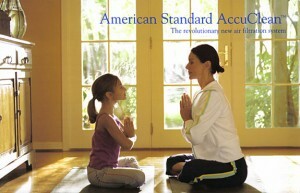 Clean air can extend the life and increase the efficiency of a comfort system. Medical experts estimate that we take in and expel 20,000 breathes a day. Keeping relative humidity between 40 and 60 percent minimizes adverse health effects. 100 microns can fit on the end of a human hair. Dust mites range in size from 30-60 microns. Nine out of ten homes have a particulate problem. Contact Ray’s Heating & Air today to see how we can make whole house comfort a reality.